have said so, according to the mainstream media, you’re a scientifically unjustified conspiracy theorist if you do. Listen to David Walker, Deputy Assistant Secretary of the Air Force for Science, Technology and Engineering, say it at a recent defense appropriations subcommittee hearing right here. 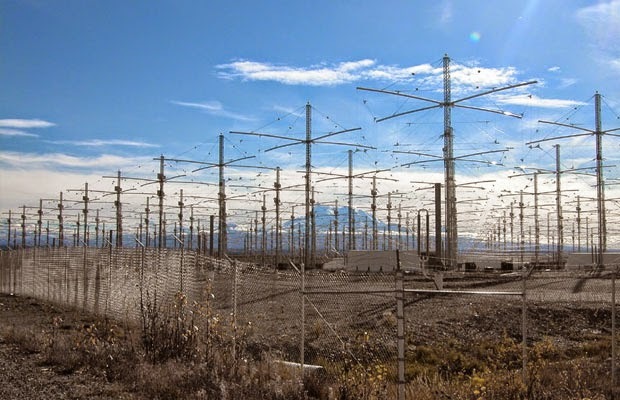 The real question isn’t whether or not HAARP can be used to control or manipulate the weather. The real question is, who gave the U.S. government the authority to “inject energy into the ionosphere to be able to actually control it” in the first place? Denial ain’t a river in Egypt, and these things aren’t jet contrails or clouds. The chemtrails hardly get any more blatant than this. Just what is up with what we’ve all been seeing up in the sky lately? 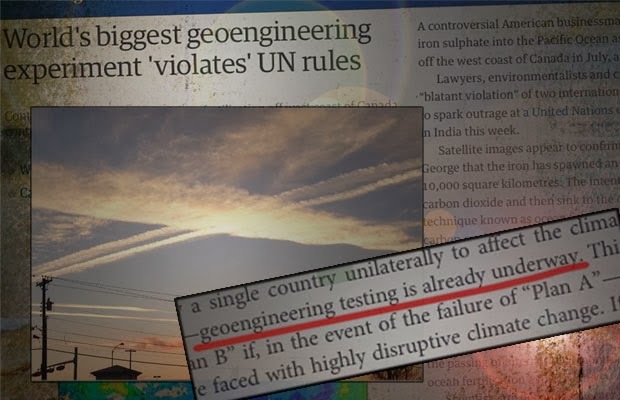 Lingering, persistent aerosols that some dismiss as jet contrails or aberrant cloud formations are actually just the most visible and mysterious part of an ongoing geoengineering effort admittedly being tested (and enacted) on a wide scale. On the surface, it is an effort to curb global warming by dimming the sun’s rays; behind that veneer are corporate motives, population control agendas and bids to control & predict the weather and reap handsome profits on everything it effects.